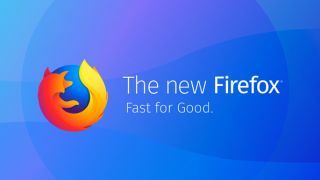 Mozilla has released Firefox Quantum – the biggest update the browser has received since its first release in 2004 – and if you've strayed away to Edge or Chrome, the non-profit is hoping to win you back. That isn’t just on high-end PCs with buckets of RAM, either. Mozilla uses a US$300 Acer laptop as reference hardware, having established that it’s the most common hardware for its user base. “We focused on making sure it stayed fast on ordinary PCs, and not at the cost of eating up lots of memory,” said Mayo. One of those new features is Screenshots, which Mozilla trialled in its Test Pilot program last year under the name Page Shot. Unlike tapping the Print Screen key on a PC or tapping Command+Shift+3 on a Mac, Firefox Screenshots lets you capture a whole web page – including parts that aren’t currently on the screen. One of Firefox’s most impressive features has always been its huge array of extensions, and these have had a major overhaul for Quantum. Rather than having free rein to do whatever they like, authors now have a more tightly controlled set of knobs to turn via the newly implemented WebExtensions API. This means all legacy extensions will stop working with Quantum, but developer APIs have been available for most of 2017, giving them plenty of time to make the switch. With Quantum, Mozilla is targeting both new users, and those who used to use Firefox but have switched to Edge or Chrome. "We want people to make the choice to use us," said Mayo. "Many people don't know we're a non-profit - not just a giant business that's made a browser to push its main business. We fell behind for five years, so it feels good to come out swinging. We're just going to go straight at them!" Firefox Quantum is available now for Windows, Mac and Linux. New versions version of Firefox Focus – Mozilla’s privacy-focused browser that clears your browsing history at the end of every session – and the Firefox mobile apps are also on the way.